A 407 par 4, a drive down the centre will offer a view of the flag. Longer hitters beware of the ditch. 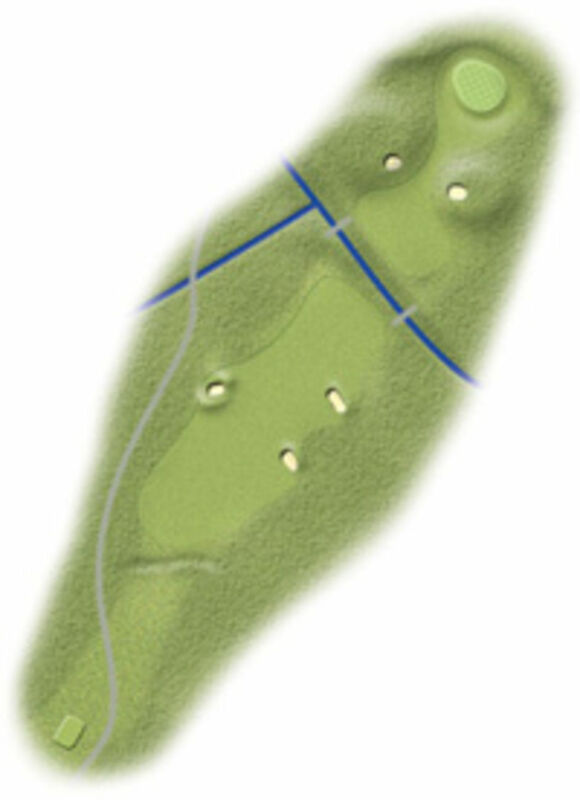 The green is situated behind the dunes and will require a well-struck shot to find it. Remember, the green slopes downward from front to back!